Baked Cheese Puff Appetizer – This Girl Loves to Eat! 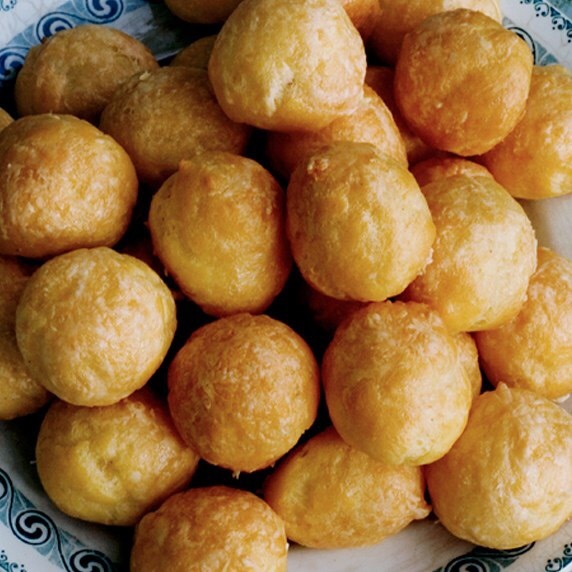 My grandma called these cheese puffs, but if you prefer the French name, Bon Appétit calls them Gougères. These delicate cheese puffs always impress. The dough takes a couple of times to get “just right,” but this is now one of my favorites to make for a crowd. Tip** These go FAST! I’d advise you make a double batch. Dough can be made 4 hours ahead. Cover and chill. Gougères can be baked 2 hours ahead; reheat before serving. Posted on January 1, 2017 by ls1228Posted in Appetizers, Baking, Breads, Celebrations, Holidays, Party Food, Recipes, Tips & TricksTagged appetizer, bon appetit', bread, cheese, French.